The Nokia Lumia 1520 is a highly anticipated smartphone and is Nokia’s first phablet-style device as it will have a 6-inch display. We have been waiting for the official introduction of this handset and now hear that the Nokia Lumia 1520 is set to officially debut on September 26. You may have heard this device previously referred to as the Nokia Bandit, but it now seems virtually certain that its official title will be the Lumia 1520. Another point of interest about this upcoming Windows Phone handset is that it could be the first device to launch with the Windows Phone 8 GDR3 update. We had heard that the Lumia 1520 may be formally revealed this month and now this is all but confirmed by some new information. 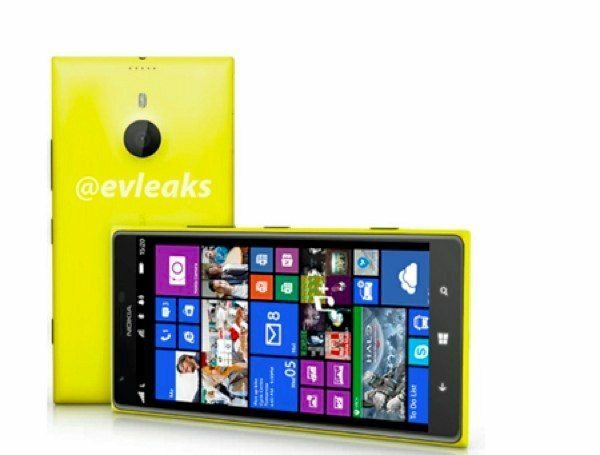 In another of its now notorious tweets, Evleaks has revealed that the Nokia Lumia 1520 will launch on September 26. Evleaks has a very good reputation for reliable information, so this looks very credible. We should then hear a Nokia Lumia 1520 release date, which hopefully won’t be too long after the event. The Lumia 1520 will be a big step up from previous Lumia devices as it’s rumored to be the first Windows Phone handset to have a Full HD display and Snapdragon 800 quad-core processor. The imge that you can see below is a leaked press render of the Lumia 1520, and just a few days ago we showed some more leaked images with some news that the phone could feature new PureView camera technology. We’ll be following further developments on the Nokia Lumia 1520, so do check back with us from time to time to hear more on this upcoming flagship Nokia phone. Are you eager to hear more on the Lumia 1520? Could this be your next smartphone choice?